Sometimes It’s easy to get sucked into our pain, sadness, and our story. I was reminded this week when reading and practicing a yoga pose that it’s possible to find bliss within chaos. We don’t have to wait for the stars to align within our lives to be happy, find joy now regardless of your circumstances. Happiness seems to be something we are always attempting to strive for. Whenever we meet anyone who is content it seems quite odd, or we assume it isn’t going to last. But being content is a state of mind. It takes work, within pain can you find bliss? 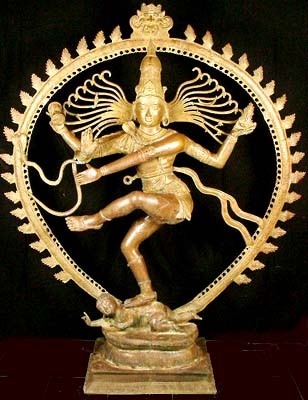 attached is a great article on shiva natarja, lord of the dance yoga pose.